29 Jan Missions Conference in Chambersburg, Pa.
Friday night (March 28), 7 p.m.
Saturday morning (March 29), 11 a.m.
Saturday night (March 29), 7 p.m.
You can call the church for further information: 263-4123. Here is Joan Sider’s Tuesday report from Haiti. She has been sending daily reports from the 11-person team from Canada currently in Haiti. 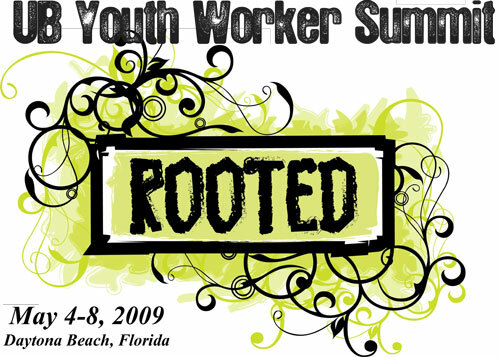 Every year, United Brethren youth workers meet in Daytona, Fla, for the UB Youth Workers Summit. You can now register online for this event. Lodging (the church has lodging facilities, so there are no hotel costs). All breakfasts and lunches (some dinners will be on your own). Because of space limitations, this is designed for the “lead” youth worker at churches. Send the person who leads your youth ministry, whether fulltime, part-time, or volunteer. It’s a great chance to rub shoulders with other UB youth workers and gain insights to help you minister more effectively to your teens. After visiting our churches in Honduras, Nicaragua, Costa Rica, and Guatemala, I flew up to Miami to catch a plane to Haiti. I’m spending three days there, joining a team from our churches in Canada. I’ll return to the States on January 28. The Canadian Team is doing a tremendous job in Haiti. The group of 11 from a number of UB churches have been doing construction at Delmas, quilting classes, children’s ministry, medical caravans, and leadership training. 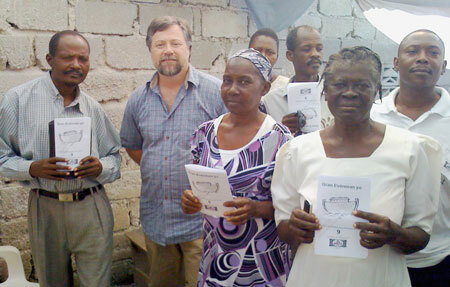 Neil Cudney of Hespler, Ontario (second from the left), is orienting pastors to use “Train and Multiply” materials that have been printed in Creole. I remember a young man who had come to faith in one of the churches I pastored. His wife was already a believer. They just had their first child. Anyway, in a sermon I talked about how the man of the house is responsible for seeing that prayer takes place in the family. Well this young man came to me and told me he didn’t know how to pray–not even to give thanks before a meal. “What time do you eat your evening meal?” I asked him. I did that several times before he told me he could do it. Then I asked him whether he prayed with his new baby when they put him down for the night. He said he didn’t know how. “When do you put your baby to bed?” I asked him. And for a couple nights, I showed up at their house, showing him how to pray over his new child until he told me he thought he could do it. The point is–don’t assume that people know how to pray. 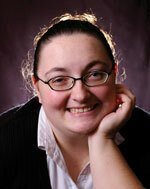 Jessica Hollopeter has been approved as a missionary with Global Ministries. She will be working with OMS International. Jessica is our first applicant approved to the “Sojourn” category. She will be an employee of Global Ministries working as a Missions Journalist for both OMS International and Global Ministries. She will be based in Greenwood, Ind., and make a number of trips per year throughout the world, bringing back stories of what God is doing. Jessica is looking for prayer and financial partners and would love for you to contact her. Her email is jessica.hollopeter@gmail.com. Her annual budget will be approximately $50,000, and she will be raising outfitting funds for a new camera and notebook computer. Jessica, a recent Huntington University graduate, is the youngest daughter of Jason and Donna Hollopeter. A medical team from the United Brethren churches in Ontario left for Haiti last Friday, January 23. Joan Sider, from the UB church in Toronto, sent back reports for the first two days. Follow the link below to read her reports. Jeff Bleijerveld, Director of Global Ministries, is currently in Central America. He will join the Canadian team (Jeff himself is Canadian) this Wednesday. 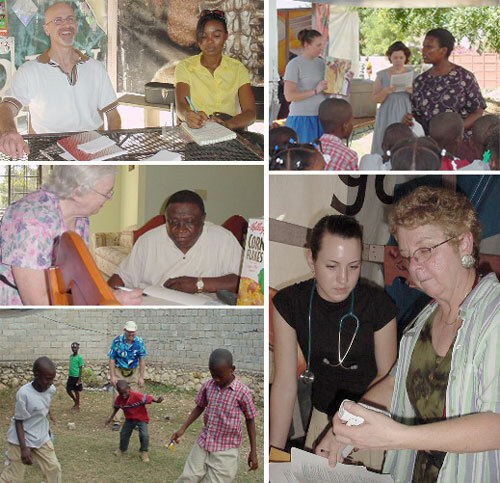 The United Brethren Church in Canada currently has a team in Haiti. Joan Sider, from the New Hope UB church in Toronto, has been filing daily reports, and they are quite interesting. Her first three reports (from last Friday, Saturday, and Sunday) are on the UB News page. We have about ten churches in Canada. Not too long ago, we were all very much integrated; they were part of the East District, and Bishop C. Ray Miller was their bishop, stopping through Ontario on his way from Michigan to Pennsylvania. But in the 1990s, the UB churches in Canada became the first United Brethren national conference. Today, we have nine national conferences. The Canadians have taken a huge interest in Haiti, sending groups down there regularly. And Joan Sider has been part of most of those groups. Joan Sider’s mother, Lottie Sider (right), was known as a great prayer warrior. 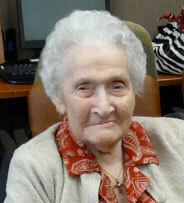 Lottie passed away on January 20, at age 100 plus 15 days. Joan was the primary caregiver for her mother during the past few years. A private burial was held shortly before Joan left for Haiti. A memorial service will be held February 7 at New Hope church at 11 a.m. The nominating committee is finalizing the ballot for bishop, and is working on the ballot for the Executive Leadership Team. The US National Conference will elect 8 persons to the ELT, and the ELT will then appoint 4 more persons (one from each district). J. Michael Caley, pastor of Banner of Christ UB (Byron Center, Mich.). Mike is the chairman. Greg Voight, pastor of Lancaster UB (Lancaster, Ohio). Greg Reed, pastor of Morning Star Church (Kokomo, Ind.). Todd Fetters, pastor of Devonshire Church (Harrisburg, Pa.). Don Burkholder, layperson from King Street Church (Chambersburg, Pa.). Brian Hughes, layperson from Mainstreet Church (Walbridge, Ohio). Two UB churches have published new websites. Praise Point UB (Willshire, Ohio). Stevensville UB (Stevensville, Ontario). Stevensville is, of course, part of the Canada national conference.